Across plant and animal kingdoms, sugars are formed in cells as cold approaches. These sugars protect cell walls as freezing water molecules expand. Pure water, H20, becomes jagged and sharp, cutting like sharp swords, as it freezes. With dissolved sugars, water becomes sloshy rather than sharp, maintaining the cell walls even as temperatures plummet. Have you ever wondered why basil leaves are blasted and brown after even a touch of frost, while your parsley and kale continue to grow, unphased? There are long fibers in kale, offering the leaves flexible, structural strength. These fibers are dense, complex chains of carbohydrates. 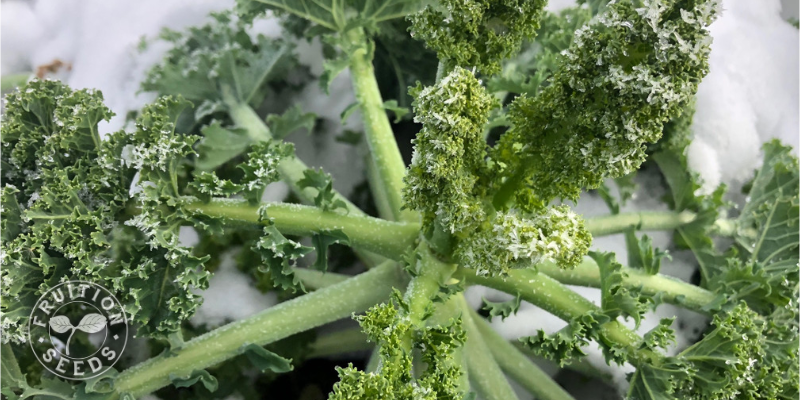 If you’ve eaten kale raw in summer and been disappointed how chewy and bitter it was, you will be pleased to know that these fibers break down in the cold, their carbohydrates turning to simple sugars. 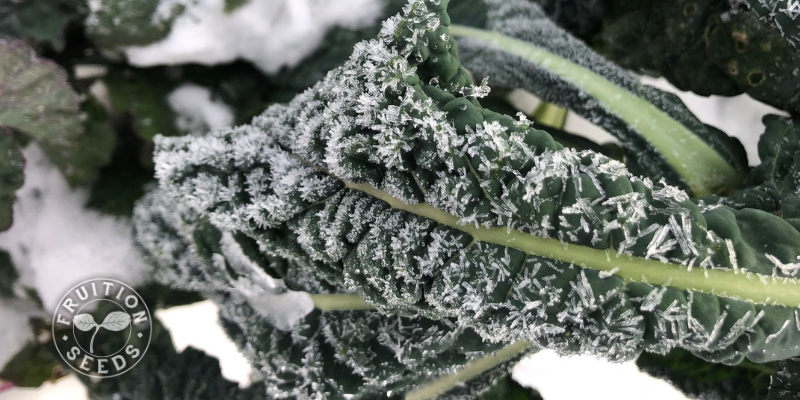 This means kale becomes more soft and tender with each freeze-thaw cycle, and more sweet, as well. This is true will all varieties of kale as well as many other hardy brassicas, like collards and brussels sprouts. 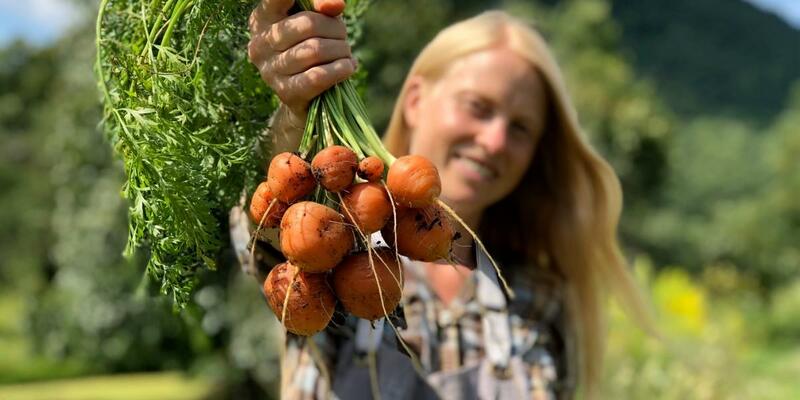 This is also why carrots are sweetest in fall, why parsnips are the most delectable once they've over-wintered in the ground. I know, its finally fall, I’ve been waiting all season to enjoy brussels sprouts, too! But trust me: They’ll be so much more tender, more sweet, more delicious when you wait for the nights to consistently dip below freezing. So yes, Thanksgiving kale is my favorite kale! May we, too, learn to grow sweet in the cold, tender yet strong in the face of adversity.